Better than our parks. Haha. Ours not well maintained. Rose, very true.. Ours, the main problem is not well-maintained..
Hahaha! Sounds so fun. Always enjoy a good vacation! 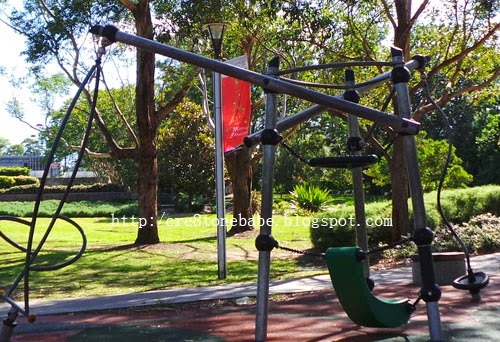 The park looks quiet and good for children, but it seems not well-maintained. The grass under the tree's needs trimming. Oh how I wish that Manila had park-friendly weather. I would love to have a picnic lunch with my boys on weekends. It's really just too hot here for something like that. And when it isn't hot, it's raining. 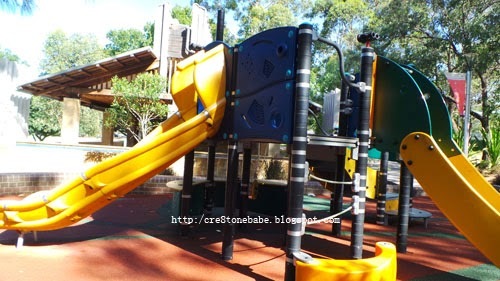 Wow, I love this playground,the kids are supposed to have so much fun there! 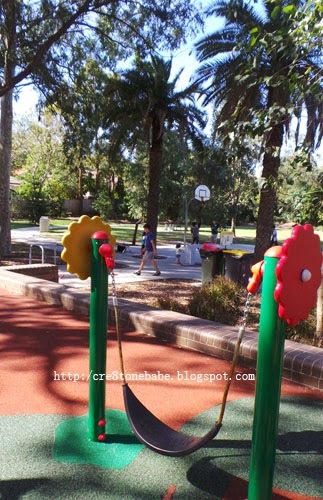 We have the same swing in my city and the slide is awesome! My kids would love that, too! Me and my kids would have love to play there too, or somewhere similar that's near our place. This looks like such a fun place to spend an afternoon! I know my kids would have a blast!. Nice park. But I particularly caught attention of those basin-like leaves in the blog name. I've seen real ones like those here in Thailand. I was amazed. 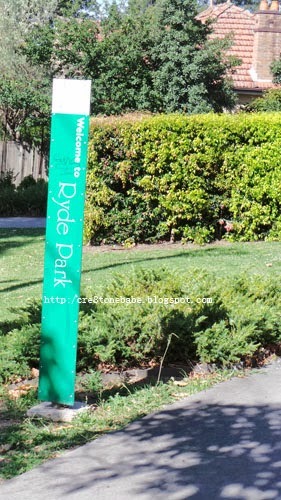 It would be nice to visit Ryde Park. Especially now that the weather is cool. Looks like a great place for an outing for kids. Surely they will have an enjoyable time here. 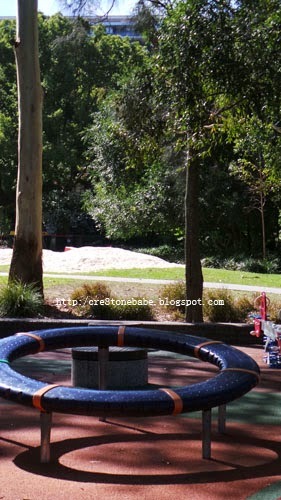 nice park where children can play in! 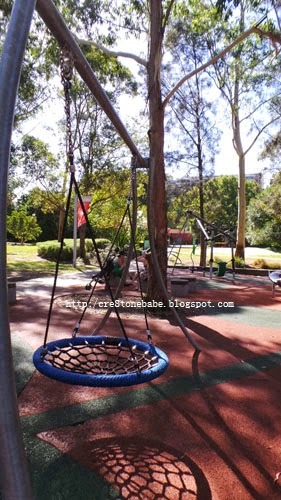 ohh, kind of resemble the parks i have in my country, just much much emptier, i miss playing on those swings in the playground! It looks like an amazing place to spend a childhood with. I'd would love to play there though I'm older than the usual who go there. Haha. What a beautiful park! And sounds like you had a beautiful day too! It looks like such a great place to spend your childhood. I can already imagine all the great stories told there.